With political uncertainties tainting Brazil's domestic scenario, the U.S. dollar rose to above R$4 on Tuesday, the highest level since February of 2016. RIO DE JANEIRO, BRAZIL – The U.S. dollar continued above the R$4/US$1 level this morning (Wednesday, August 22nd) opening at R$4.038/US$1, after closing at R$4.049/US$1 on Tuesday, the highest level since February 2016. Brazilian real registers the lowest level against the US dollar in two years on Wednesday, photo by Rafael Neddermeyer/Fotos Publicas. According to analysts the devaluation of the Brazilian real is not due to the current foreign turbulence but to internal uncertainties and the upcoming October presidential elections. “The (Brazilian) real was not devalued sixteen percent because of Turkey or other external reasons, it was because the rate of R$3.00 to R$3.30 (per US$1) was absolutely incompatible with the status quo of the Brazilian economy and the expressiveness of the country’s fiscal debt,” said Sidnei Moura Nehme, executive director at NGO. According to other economists, the lack of strong market-oriented fiscal reform programs from the leading Presidential candidates are making investors suspend deals and wait for the October outcome. “We cannot rule out the possibility of the dollar going to $ 4.50 and up to $ 5 in this scenario. Everything will depend on what will be set for the second round,” Alvaro Bandeira, partner and chief economist at Modalmais told local news outlet G1. The latest devaluation of the Brazilian real coincided with the release of the first opinion polls for the Presidential race after the deadline of candidate registration last week and the beginning of presidential propaganda campaigns. 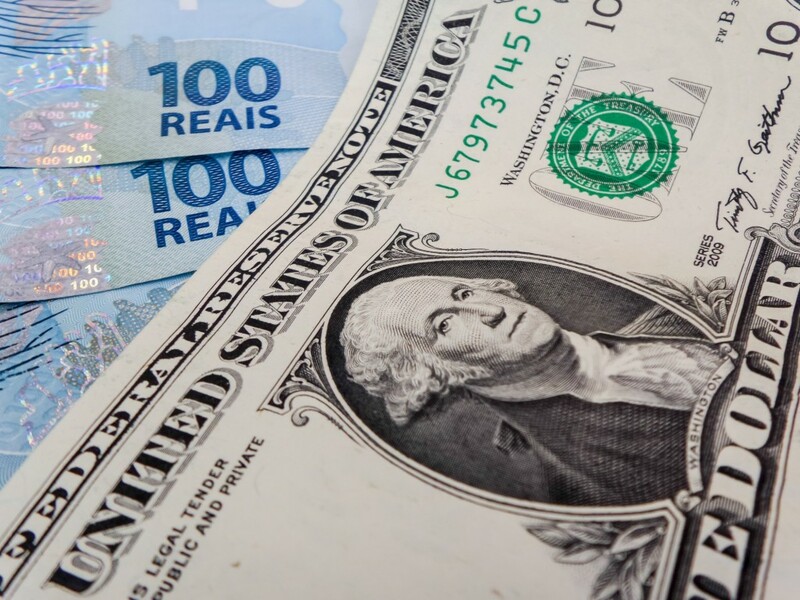 With all the uncertainty surrounding the political and economic scenarios for the next two months, the U.S. dollar was selling at R$4.21/US$1 in forex houses around São Paulo city and at the largest international airport in South America, the U.S. currency was being bought at R$4.68/US$1.